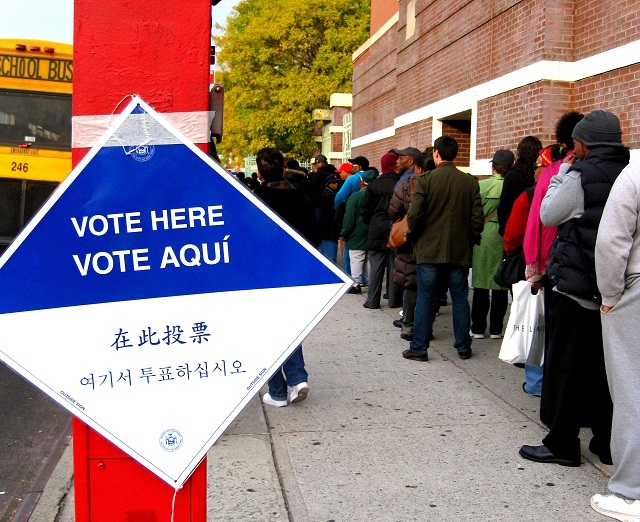 As states like New York do not require proof of citizenship to vote, illegal aliens have been voting illegally for Democrats for decades. CHEEKTOWAGA, N.Y. (WIVB) — A Canadian woman, illegally living in the United States since the early 1970s, has been arrested on a charge of voter fraud. Lying Democrats like Hillary Clinton claim asking for voters to show ID is about disenfranchising minorities, in reality not asking for ID is about disenfranchising actual American citizens. Just days ago undercover video from Project Veritas showed NYC Democratic Commissioner of the Board of Elections Alan Schulkin admitting there's "a lot" of voter fraud going down in the state. "You know, I don't think it's too much to ask somebody to show some kind of an ID," Schulkin said. "Like I say, people don't realize, certain neighborhoods in particular they bus people around to vote." The left has stolen our country out from under us through mass immigration and illegal ballot stuffing. Trump is our last stand before this nation goes the way of Brazil.